Roger was born in Harrow, North London in 1939. His father was a director of HJ Heinz in the UK, but died, because of illness, when Roger was 4, leaving him to grow up with his housewife mother and older brother. He believes the absence of a father in his early years prevented him from being enthusiastic about sport, his main interests being books, and hobby work, making small aeroplanes and models. Roger was awarded a Middlesex County Scholarship to Mill HIll School in 1952. This was an award for boys with academic ability whose parents could not afford a private boarding education. His mother paid £15 a term in an era where the annual boarding fees were about £450. He describes Mill Hill as “a great success for me”. He skipped the first year and took his O’ Levels when he was 15, taking pure and applied maths, and physics for A’ Level. He ran societies and clubs at the school and pursued an interest in photography, in his last year meeting the Queen and escorting her around the school. Even at this stage in life, he read books about business as he knew he wanted to build a company with other people. Roger was awarded a place at Fitzwilliam College to read engineering. He had an excellent tutor, who he got on well with, but showed more interest in extra-curricular activities than the course itself. These included the University Air Squadron where he learned to fly, and politics, where he became vice chairman of the Cambridge University Conservative Association. Alongside his engineering studies, he had a scholarship with English Electric in Stafford. This meant a one-year industrial apprenticeship, followed by the three year degree and then a final year at the company. He worked in the turbo-alternator development department, and reflects that with the rise of IT, the whole infrastructure of manufacturing operation has declined in the UK. Following university, he decided not to go back for the final year as he was unimpressed with the career trajectory that English Electric had in mind for him. He decided to design and build aeroplanes. Roger’s first job was working for Beagle, an aeroplane design company. He told them that their prices were not viable, so they nearly doubled them, making them competitive with the American market. After working with various departments, ending up in aerodynamics at Farnborough, using computers. These were small specialist computers – simulators to analyse when the structure of the plane starts vibrating. The purpose was to get the dials to be stable and not vibrate, but they couldn’t, showing the plane was unsafe. The company was in financial difficulties and so when Roger produced his data, he was fired. On his final day the chief test pilot came to speak to him and told him he was right – his mathematical calculations were proved to be correct. He returned to the company as a consultant on three or four times his salary. After about six weeks, he concluded the plane could not be made safe without redesigning the structure, so he left and the plane was destroyed. After leaving Beagle Roger was offered jobs at various companies, including Freddie Laker, Texas Instruments and Coopers Mechanical Joints who made 80% of all the gaskets that went in a car. He chose IBM because he realised that computers were a growth field. The company was completely different from English Electric. Right from the interview, he was impressed as he felt there was “real interaction”. The initial training course was 6 weeks. In those days punch card devices were the computing of the day, with big computers downstairs. They had IBM 7090s and 1401s, and were gradually switching their customers form punch cards to the 1401s. His first job for IBM was with Texas Instruments, winning an award for writing a program on an ancient punch card calculator. He then moved into the motor industry environment work for ENV, an engineering gearbox company, followed by Vauxhall’s spare parts operation. He became an expert on motor parts stock control and lectured in Europe about it. In 1965 he went to Detroit, in the United States for eight months to work for Ford. It was a mixed experience – IBM were in trouble with their new System 360 computer, which had difficult software and they were losing business. At the age of 26, three years after joining IBM, Roger became the account manager for Ford, with around 30 people working for him. The job was to get the new IBM 360 system installed to replace the other systems and moving the computer facilities from the foundry in Dagenham to Warley, which became their head office in England. He sold them new computers for their parts supply operations, with services attached – which were then refused by IBM’s UK head office, so IBM lost the contract to Honeywell. After four and half years at IBM it was time to move on. Roger now knew that what he really wanted to do was run his own business outside a big corporation. He had learned a huge amount at IBM, both about computers and business. 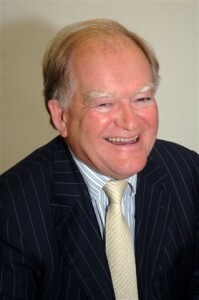 Roger joined Management Dynamics in 1967. This was a much smaller company who he was introduced to through a friend, Ron Yearsley. The founders John Brown and Geoff Moss wanted to start a consulting operation. They won business with Shell, Bristol-Myers the pharmaceutical company, Mercedes-Benz and Norcross. They advised these companies on data processing. The company was bought out by the American Greyhound bus company, with the bid being led by someone Roger had worked with in Detroit, and did not want to work for, so it was time to move on, again. When Roger joined BIS, on May 5th 1969 there were about eleven people working at the company. He was offered the job to run it and said he would only accept if Ron Yearsley worked there too. They had two distinct roles. Roger ran the business and Ron “kicked open the doors”. Ron created opportunities and Roger closed them. He believes in building the team. He imposed the IBM more disciplined style of management, which caused half of the original eleven to resign. His new hires stayed with the business through to its sale in 1986. He was heading BIS Applied Systems and on the main board from the outset, at the time there were three businesses. There was a training business focusing on data processing and general management – two day and week long courses. He believes even today companies are poor at developing the key elements of a financial plan. There was a marketing research operation centred around the paper industry – high value publishing market data. The third element was BIS Applied Systems which was the compute consulting wing. He had the opportunity to start other businesses, one was a distance learning business, using video and other tools to teach computer skills. This led him to the United States where he became a member of the Deltak board. He learned a lot from working with the Americans, one of whom remains a very close friend. In 1975 BIS acquired Kingsley-Smith and Associates which became BIS Banking Systems. He put John Prosser in to run it, and they decided to focus on international banking – a growing business. Prior to the early seventies, exchange rates had been fixed, but were now floating. Commercial banks which had previously only operated in their own countries, now needed operations in many locations, typically around 14. They developed the software – MIDAS – Modular International Dealing and Accounting System – along with its associations with gold. Over the next ten years the software was installed in 700 bank locations – in around 70 countries. The sales were performed by salesmen on commission by use of a formal written proposal. There was a lot of emphasis on having the client understand the prospect before signing so that they knew what would be involved in installing a software product that would change behaviour and working practices. MIDAS was sold for between £200,000 up to £8 – 10 million, depending on the set up. Their consultants would service the computers – primarily over the phone, but often they would have to reload the software with a patch. Unlike today, where your iPhone is always up to date, new software had to be manually uploaded. It was challenging to meet all the requirements. In 1975, BIS went global. Roger travelled to South Africa launching consulting, to Scandinavia and to Australia. In Australia they established a joint venture with a company called Shrapnel, BIS Shrapnel, they grafted on computing businesses and trading businesses to their research enterprise. At the end of the 70s they bought a big business in Germany which was “a house of cards”. Roger says they were misled and did inadequate due diligence. By this stage he was in America every few weeks and had delegated two key people to research the German project. Within weeks it was clear they had made a bad decision – a business which had nominal revenues of about $40 million and within eighteen months they were closing it down. Key lessons were learned – due diligence and deciding whether the culture of the business can be developed alongside what you already have. In 1979 BIS acquired Christian Brann – a direct marketing company that was in financial difficulty. They injected sufficient capital to pay the salary bill and put in a few of their own people to sort out the financial management. Roger describes it as “injecting commercial reality to them”. It was the precursor of social media and the internet. The company was based in Cirencester and employed around 200 people. It had a large studio, a printing works, a fulfillment warehouse and a larger computer operation with printing. The fourth arm of the business was market research. This company was called Mackintosh, acquired in 1979. Its business was researching different components. They predicted that by the 1990s the most expensive part of a motorcar would be its electronics. They operated out of Luton, Paris, West and East Coasts of America, and in Australia. By the 1980s BIS had offices in 14 countries. Between 1969 and selling in 1986 BIS grew to become a company doing about £80 million of revenue with six or seven million pounds profit. In 1986 BIS was acquired by Nynex, shares had been given to key people in the company and by the mid-eighties, there were about 110 shareholders. Roger believed only those who are going to make a real difference to the company should be given shares. In 1985, he had a meeting with the founder, Brian Allison and Colin Walpole to discuss the sale. He supported the sale because he did not think they could go public because they were a diversified business. They were paid in shares valuing the deal at £70 – 75 million. In 1993 Roger facilitated the sale to ACT. Within 18 months the company was broken up and each arm sold on. Roger was approached in the late Seventies to join the fledgling Computer Services Association. There were similar organisations in Europe and America. The belief was that the industry could achieve more by working together, particularly with government. Often new companies were run by people who had a good idea but little business experience. There was scope to gather techniques and processes that would facilitate business by working with others. Roger became president of the UK and then European association. During the early Eighties there was a fear that the Japanese would break the copyrights and use the software of the American companies, particularly IBM’s. After the sale to ACT, Roger left the industry to become a non-executive adviser to a series of companies. Over the last 22 years, he has worked with a total of 24 companies with a 50:50 success rate. He says this is a better strike rate than most venture capitalists. Of those that have not succeeded, he blames a lack of due diligence as being the consistent cause. He believes young entrepreneurs fail because they “don’t do a meticulous and thorough job of understanding the scope and scale of the market”. He gave operational, organizational and financial advice to these companies. Roger believes the role of capital in the IT sector has changed over the years. It is generally considered that there isn’t enough capital behind British technology. Roger’s twist on this is that companies raise money for the wrong reasons. He would support a firm which is seeking investment for growth – those that are doubling their business year on year for three to five years. He would also do it for those who were increasing by 50% per year on a reliable, continuing basis – but not through capital. By and large business should be funded by clients. At BIS the total invested was £110,000 – a business that was ultimately sold for £100 million. Every day the business was generating cash from consulting. In 1969, the fledgling BIS competed with Coopers to win the analysis of computerisation of the Covent Garden Market Authority. In their report they stated that the traders shouldn’t use computers, and should do the work in their own offices. That contract provided the capital to hire better people and grow. Roger believes that if you have a business centered around capital assets, e.g. property development, you operate on your own skills and capability, buying in other people as required. The businesses he have been involved in are all people – “the assets going up and down in the lift,…in the morning and once in the afternoon”. It is crucial to look after the staff. He believes passionately about having a strong team that work together. During Roger’s career, he has seen computers move from being colossal machines in basements focusing on large-scale data manipulation to being a consumer of information and communication on the desk, and now the smartphone. He sees no end to it with applications in health, work, transport, the motorcar and at home.